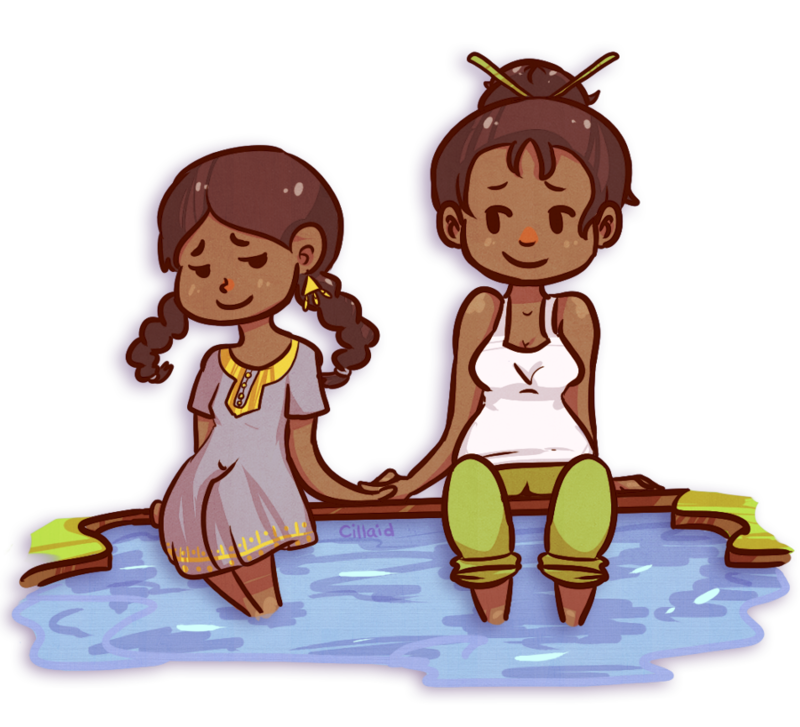 Cillaid has drawn this adorable “cheeb” (as she calls them) of Shulamit and Aviva, the queer female couple from The Second Mango. The book also has dragons, curses, adventure, straight romance as well, and friendship between women. If you want to commission Cillaid, her cheebs are very affordable at only $4. Here’s her Tumblr commission link and her order form. She responded to this very quickly and I’d say her rendering of my characters from some other artwork and verbal descriptions was fairly accurate. I think you’ll be happy with her work! Image | This entry was posted in Mangoverse and tagged allergies, Art, art commission, books, cartoon, celiac, cillaid, cute, fairy tales, food allergies, gluten intolerance, lesbian, lgbt, lgbtq, queer, queer women, queer ya, qwoc, women-of-color, young adult fiction. Bookmark the permalink.